1. Unlocks at Lv. 60. 2. 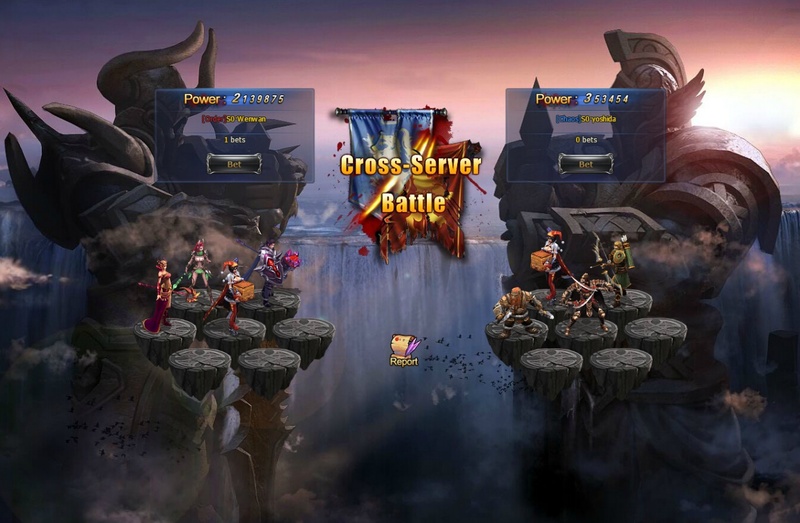 Cross-Server Battle is divided into a regular stage and a final stage. The two players who rank the highest in the regular stage will be chosen to enter the final stage! 3. Cross-Server Battle spaces are limited! This is to ensure the system maintains a manageable amount of combatants. 1. 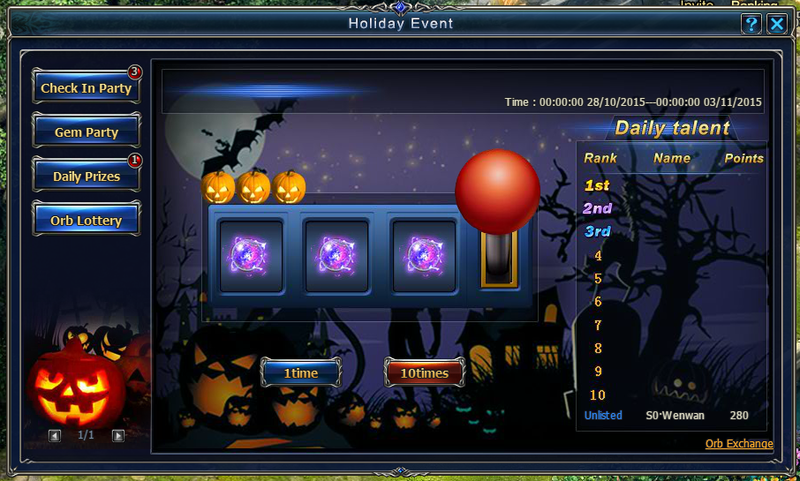 Players can draw medals for free with Merit or Gems in the Honor Hall. 2. There is a chance to get Medal Shards in the Honor Hall which can be used to exchange for Top Medals in the Shop. 3. Multiple medals can be worn by each Merc. Only one medal can be worn with the same stats. 1. Rotate the handle to match orbs during the event. Different quantities of Orange Orbs are rewarded according to matching results. Orange Orbs can be used to exchange for special holiday items in the Orb Shop. 2. Matching rewards: 3 Purple Orbs = 200 Orange Orbs; 3 Blue Orbs = 100 Orange Orbs; Green Orbs = 50 Orange Orbs; 3 White Orbs = 30 Orange Orbs.Plus, bonus crits can be gained when two orbs of the same color are matched. 3. A certain amount of event points are rewarded for each orb drawing. The points can be checked in the Daily Mater Ranking. The top 10 players in the battle section will be listed in the Master Rankings and gain additional orb rewards. The ranking rewards are settled every day at 23:55 and will be sent directly through mail. 4. Draw orbs using free Lottery Coins obtained through daily events, check-in and recharging.